﻿ Hot Zone Corals: Gaining immunity to bleaching? 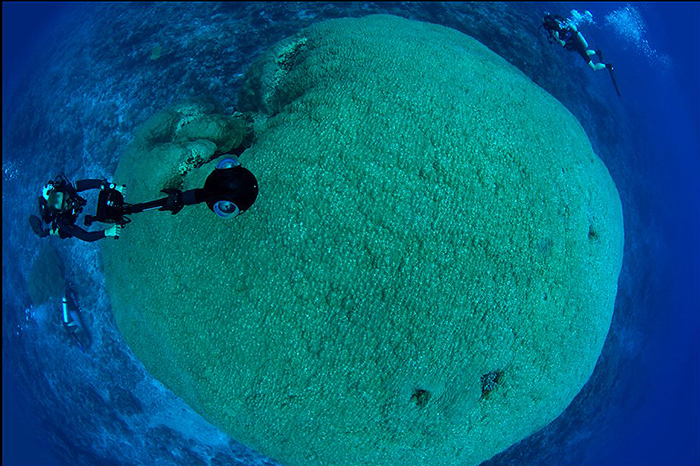 A giant survivor colony of Porites lobata coral, one of the largest known in the world, in American Samoa, south of the Equator, 2014. 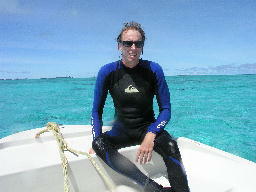 Image: Caitlin Seaview Survey/Underwater Earth. MELBOURNE, FLA. — Ocean warming is threatening coral reefs globally, with persistent thermal stress events degrading coral reefs worldwide, but a new study has found that corals at or near the equator are affected less than corals elsewhere. The findings from Florida Institute of Technology Ph.D. student Shannon Sully and professor Rob van Woesik, Ph.D., along with colleagues at the University of California at Santa Barbara and Reef Check, were published March 20 in the journal Nature Communications. Dr. Rob van Woesik, professor at Florida Institute of Technology. The work, which was supported by the National Science Foundation and the Zegar Family Foundation, was based on analysis of field observations from a 20-year global survey of over 3,350 coral study sites in 81 countries led by Reef Check founder and former director Gregor Hodgson. “We are uncertain why equatorial reefs are more tolerant of recent temperature stress, but we do know that we must protect these equatorial reefs – and reefs everywhere – from other disturbances, lest we lose coral reefs that protect coastal inhabitants from storm waves and help feed millions of people worldwide,” he said. Materials provided by Florida Institute of Technology. S. Sully, D. E. Burkepile, M. K. Donovan, G. Hodgson, R. van Woesik. A global analysis of coral bleaching over the past two decades. Nature Communications, 2019. The article is available here. The DOI for this paper is 10.1038/s41467-019-09238-2.